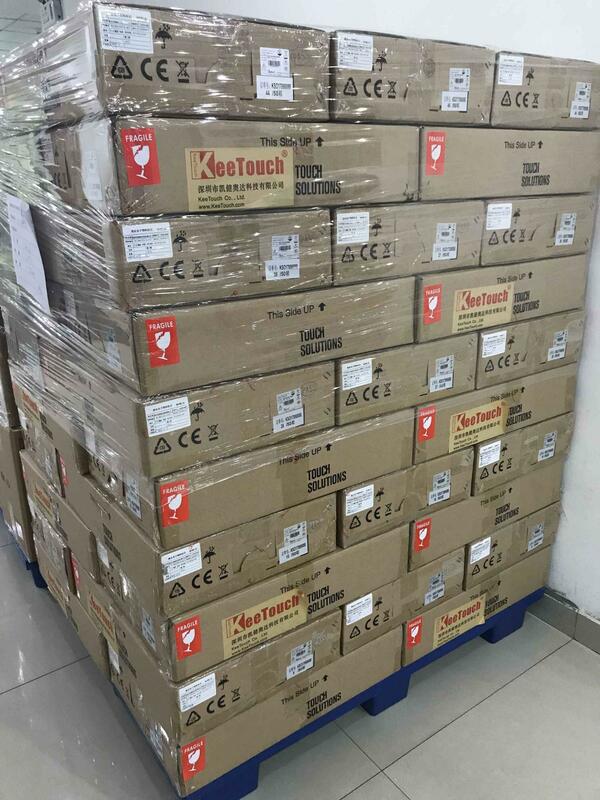 ♦ IR with clear glass offer pristine optical clarity and touch durability. 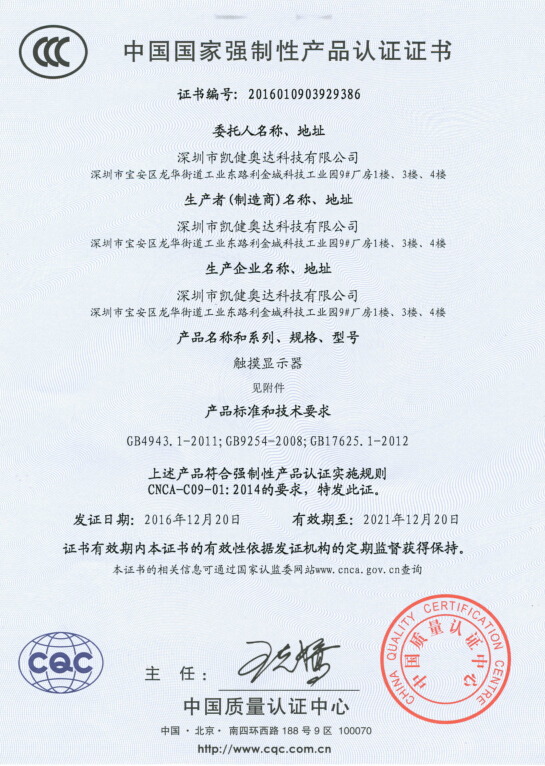 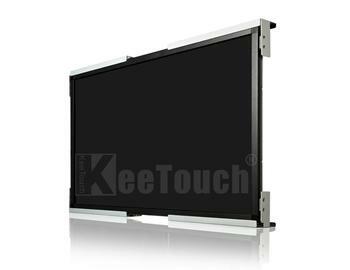 ♦ High quality panel with high brightness, and broad viewing angle. 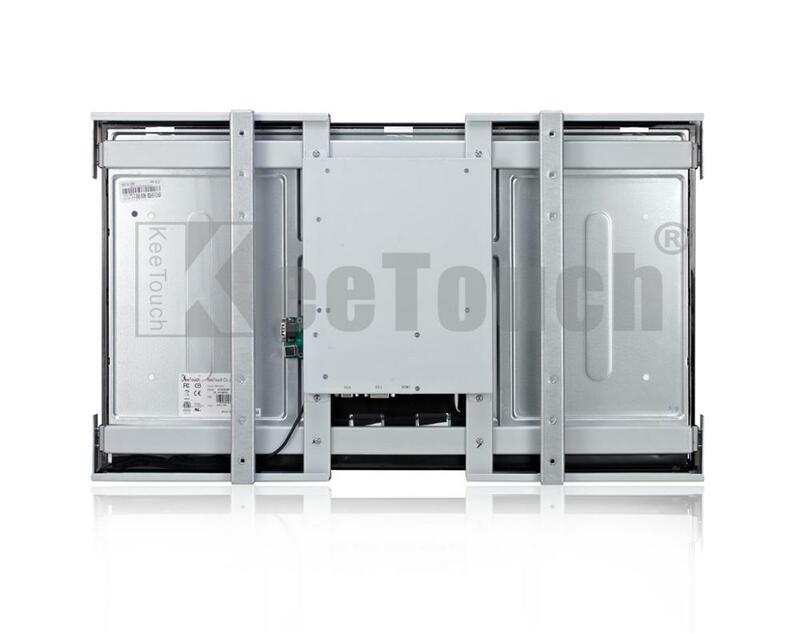 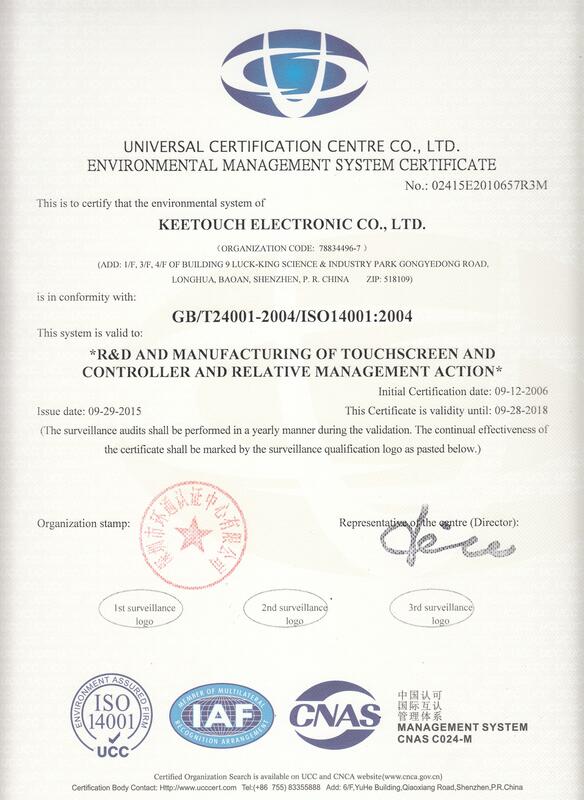 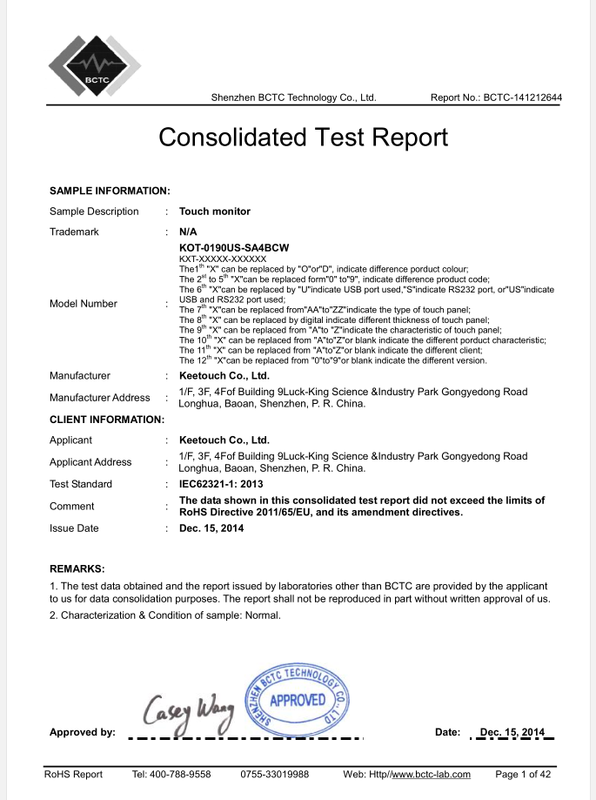 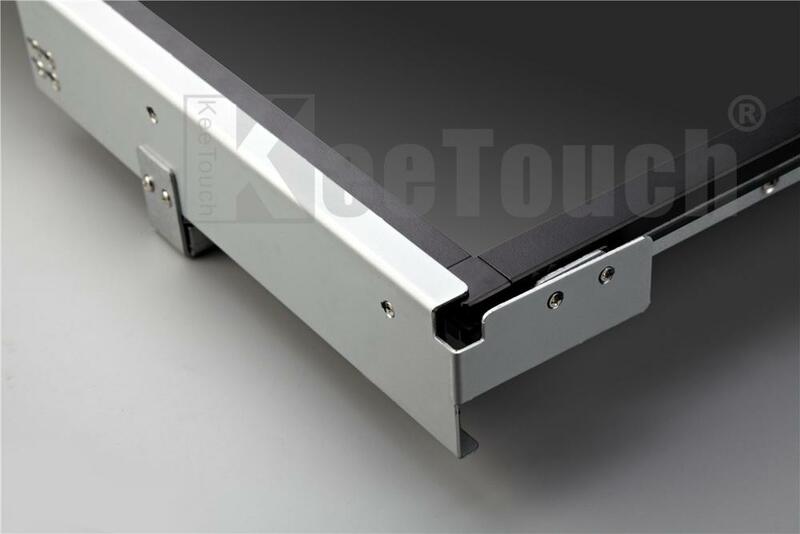 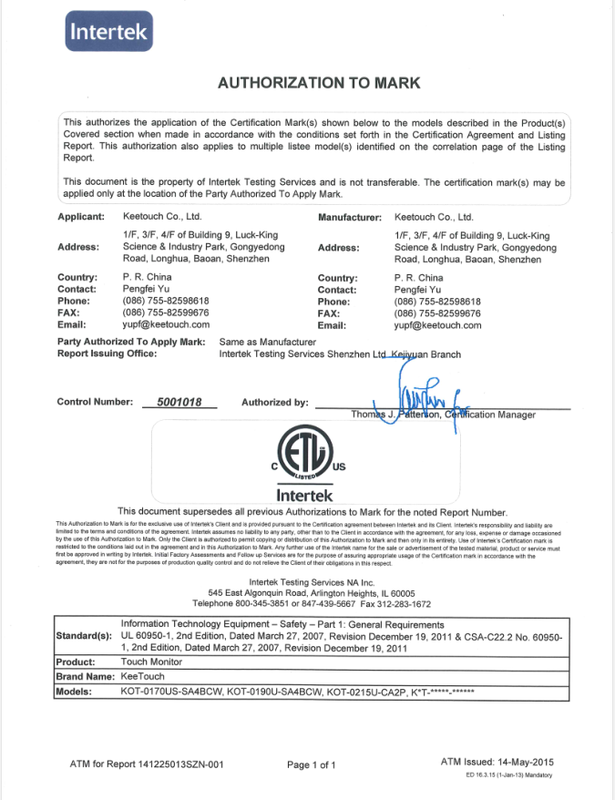 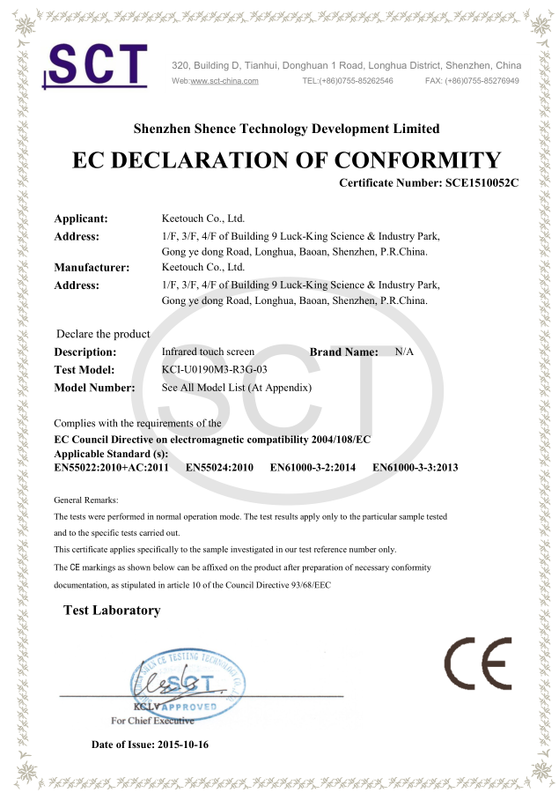 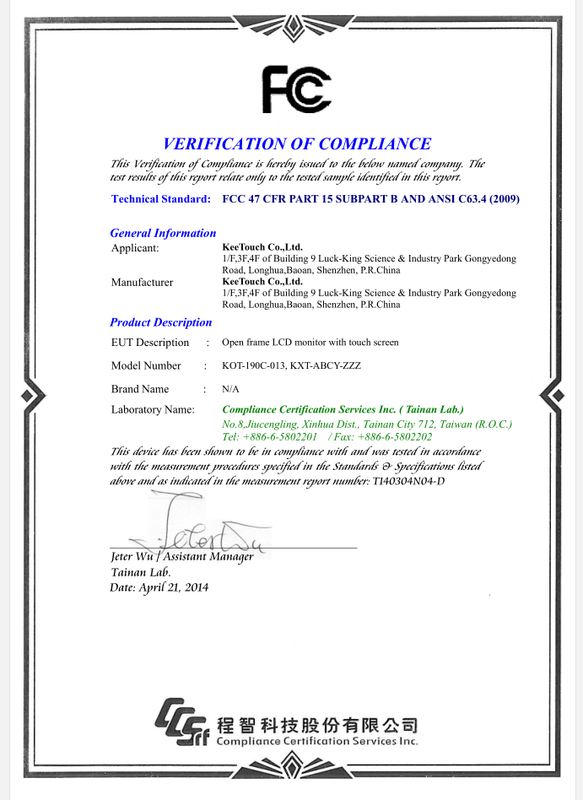 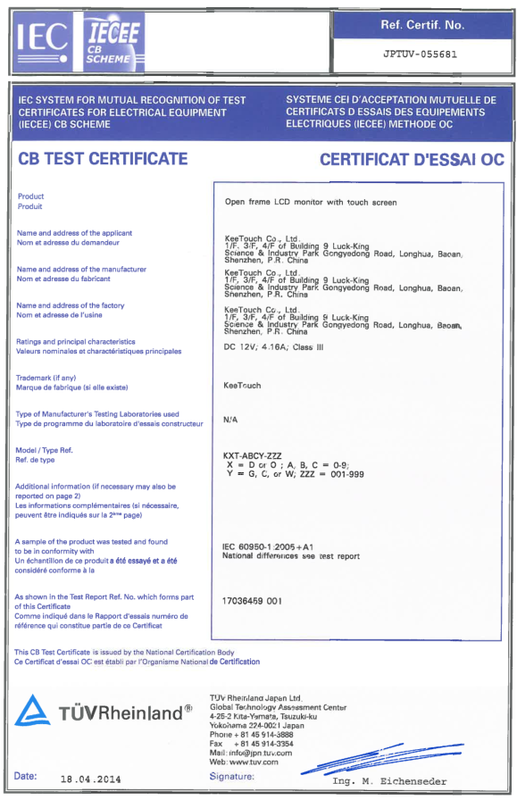 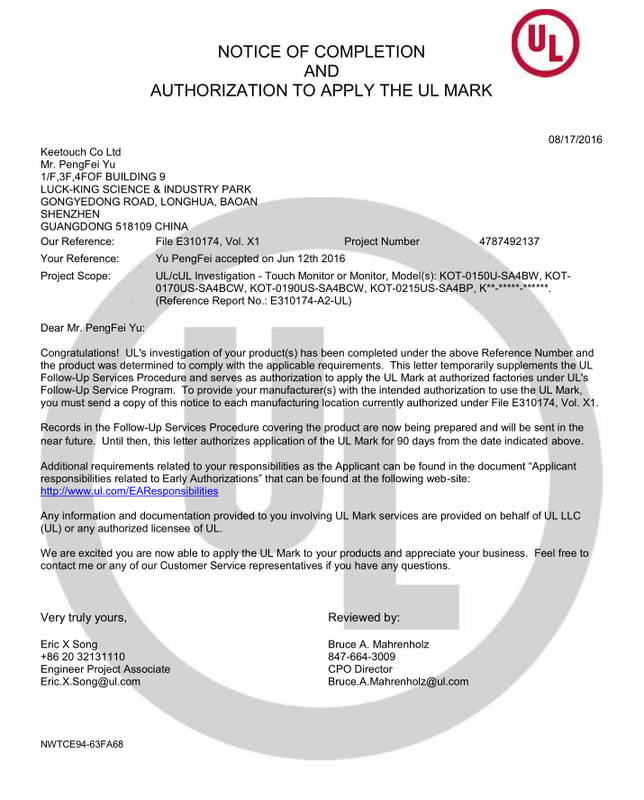 ♦ Long lasting product cycle-enclosure controlled by Keetouch specifications. 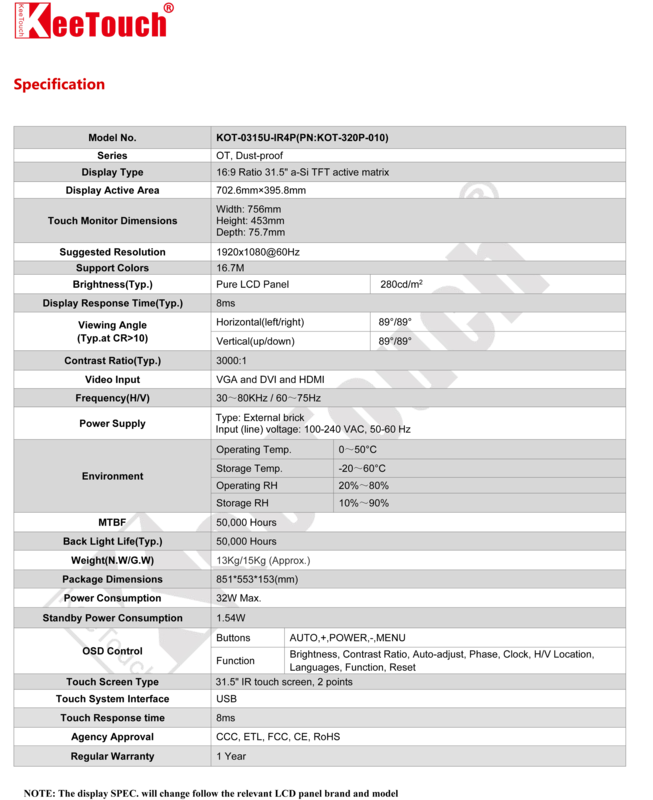 ♦ VGA and DVI and HDMI input video format.